For his new release on Nona Records Brooklyner Max Ravitz changes the formula again and delivers five spirited acid electro tracks. The EP will be out at the end of August supporting his European summer dates. 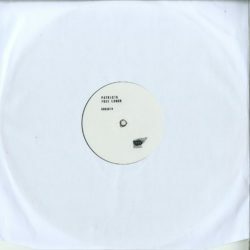 For the past several years Ravitz has been keeping up his production of house and techno music via different outfits like Inhalants, Masks, or Pulpo and most notably Patricia with his last year’s release – an epic 3LP record – ‘Several Shades of the Same Color’. His recent effort called ‘Free Lunch’ explores one of the directions presented on the album, however this time adding more color in the palette.